Even if you’re not a basketball fan, you will find this 3 minute clip jaw-dropping! During the last 35 seconds of a Rockets vs Spurs game on Dec. 9, 2004, the Rockets needed 13 points to top the Spurs, 81-80. What they were able to do within the final 35 seconds is perhaps unheard of in an NBA game. And to make even more amazing, all the points were scored by one man, Tracy McGrady! Watch a 207-mph Jet-Powered Bicycle Smoke a Ferrari! Francois Gissy set a new world record on a “bicycle”, a jet-powered one! He reached the 207-mph mark in just 4.8 seconds. 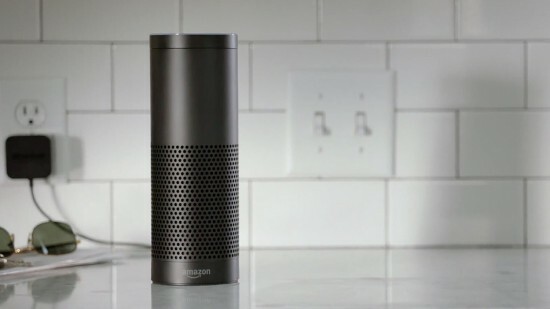 Amazon Echo is a wireless speaker that has a built in personal assistant. Just like S-Voice or Siri it can answer your questions, read you news headlines, update you on the weather, play music, or add items to your shopping list. 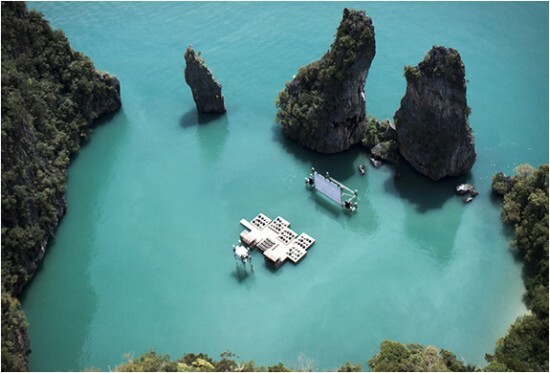 This Floating Movie Theater is in the rocky shoreline of Yao Noi in Thailand. It was designed by German architect working in Beijing, Ole Scheeren, and attracted lots of movie goers near the island of Phuket. A woman wearing jeans and a crew neck T-shirt walked around New York City for 10 hours, and a hidden GoPro recorded every word by the men she passed. 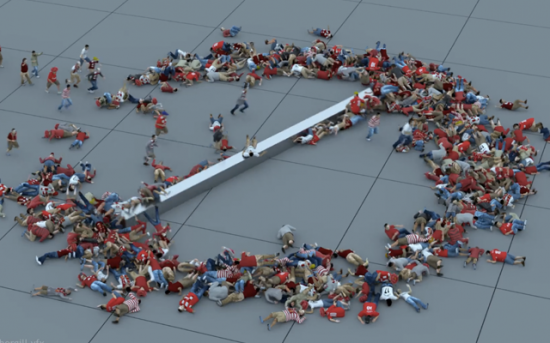 Dave Fothergill, a talented 3D animation artist, has created a cool 3D animation of a bunch of people running right into into a rotating metal platform. It’s really cool to watch and at first a bit hard to tell that it’s not real! Cameras caught this guy in the background of a live news interview, trying to take a selfie, or possibly a photo of the interview. The video is only 17 seconds long and looks to be from a live Lebanese TV feed in which a man is being interviewed.